This high quality replacement Valve Cover kit offers a substantial value, especially when compared to the factory BMW part number 11127570292 (11 12 7 570 292). This kit installs and functions just like the Genuine kit, but at a substantial cost savings without compromising longevity or quality. If your 2011 or newer N55 "TwinPower" single turbo powered BMW is in need of a valve cover gasket replacement, you should be aware the factory valve cover is a composite / plastic design, unlike the previous engine designs that used an aluminum valve cover. 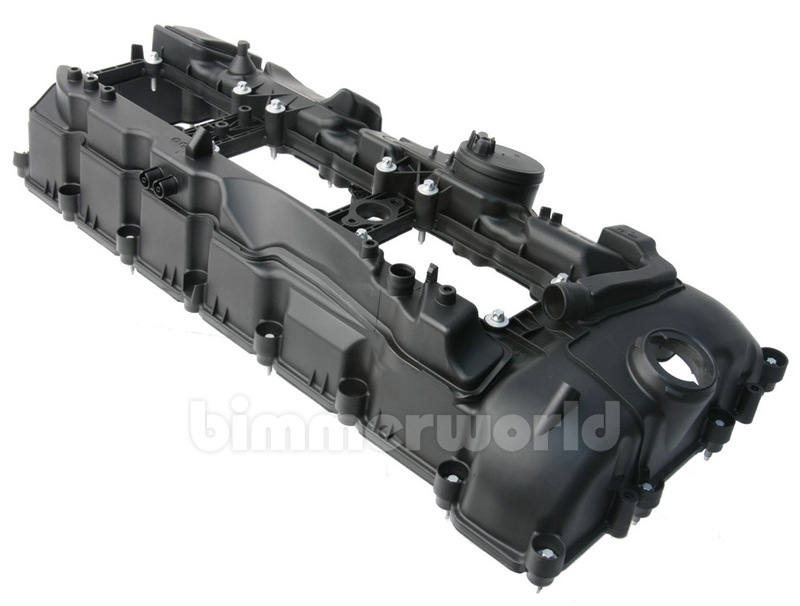 This guarantees that with age, mileage, and thousands of heat cycles, the plastic N55 valve cover will become brittle and frail, and will develop cracks. This is why BMW recommends replacing the entire valve cover assembly with new gaskets and seal rings, rather than just replacing the gasket as you might on earlier BMW engines. 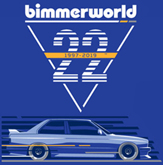 This particular valve cover and gasket kit is a premium aftermarket version made by URO, which we at BimmerWorld found to be of an impressive manufacturing quality. This can be used to replace the valve cover on all 2011 E90 335i and 335xi sedan, all 2011-2013 E92/E93 335i coupe and convertible, all 2012-2016 F30 335i and 335i xDrive sedan, all 2014-2016 F32 435i, F33 435i Convertible, and F36 435i Gran Coupe, all M235i, all F10 535i and 535i xDrive, all F12/F13 640i and 640i Convertible, all 2011+ F01/F02 740i / 740Li (N55), 2011+ X5 35i, 2011+ X6 35i, 2017 F87 M2 and all BMWs with the N55 engine. It comes fully loaded with all the part needed for a valve cover gasket service on the N55 3.0 liter TwinPower Turbo engines. Valve cover and valve cover gasket failure is quite common on these cars. It usually happens right around 100k miles, though its been known to strike earlier. Are you getting a smell of burning oil while driving or while idling at a drive-thru with your windows down? This may be due to your valve cover gasket weeping oil onto your hot exhaust manifold. Not only does this risk running your BMW low on oil, it's also known to start engine fires and safety concerns. Note: Not for cars with the N54 twin turbo -- Only for cars with the N55 "TwinPower" single turbo engine, most commonly found from 2011 to 2016. For questions on BMW fitment, information or for assistance from one of our BMW experts, we recommend calling us at 877-639-9648.